Heat oven to 350F. 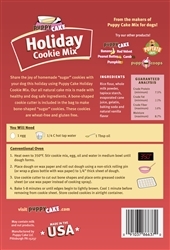 Stir cookie mix, egg, oil and water in medium bowl until dough forms. Place dough on wax paper and roll out dough using a non-stick rolling pin (or wrap a glass bottle with wax paper) to ¼” thick sheet of dough. 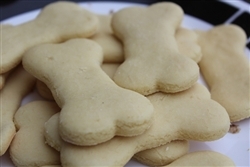 Use cookie cutter to cut out bone shapes and place onto greased cookie sheet (or use wax paper instead of cooking spray). Bake 5-8 minutes or until edges begin to lightly brown. Cool 1 minute before removing from cookie sheet. 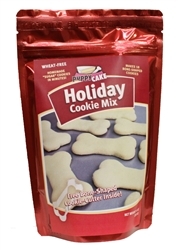 Store cooled cookies in airtight container.